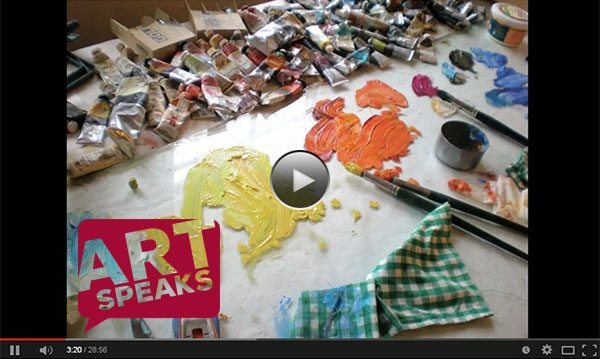 Dig deeper and discover more about our art by engaging in our online interactives. Immerse yourself in our online interactive games and in-depth art tools. 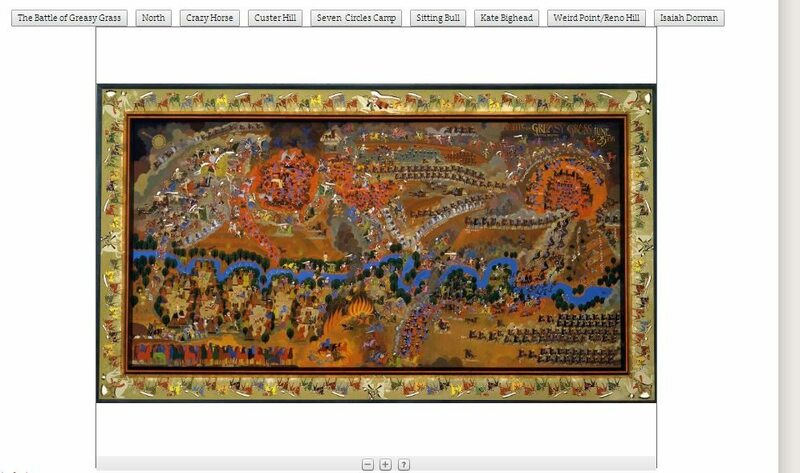 These interactives present dynamic learning opportunities for all audiences, whether you are interested in simply creating your own western landscape, or delving deeper into an artist’s painting or studio. In Yellowstone Composition No. 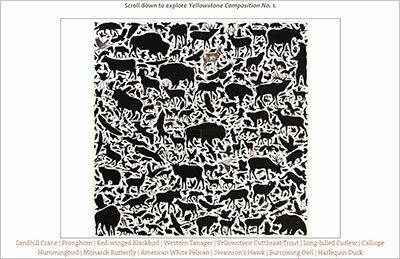 1, artist James Prosek highlights twelve of Yellowstone’s long-distance migrants in brilliant color and exquisite detail. This series presents in-depth interviews and short clips on the artwork and artists found in the Whitney’s permanent collection. 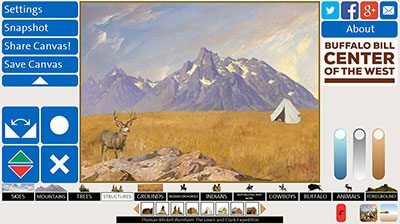 This fun interactive allows you to create your own western landscape using features from different artworks within the Whitney’s permanent collection. 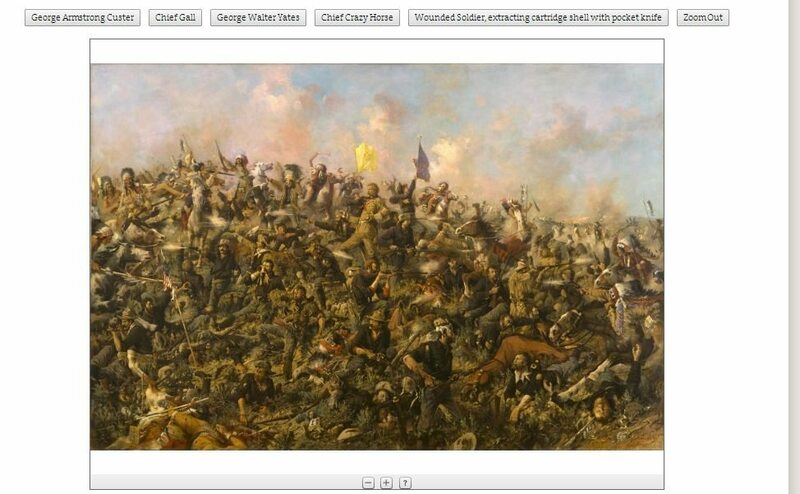 Pinpoint and uncover in greater detail the different historical figures within Edgar S. Paxson’s famous painting, Custer’s Last Stand.